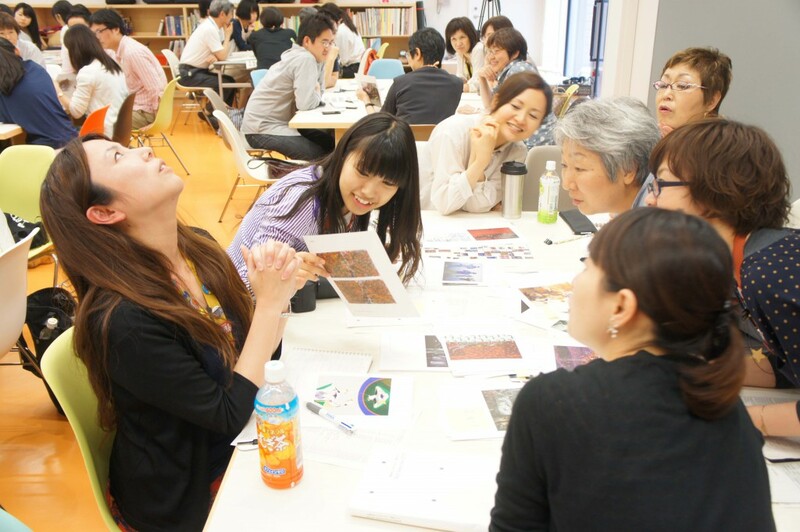 The 4th Session of the Foundation Course was called “Thinking about Creating a Learning Environment.” The morning instructors were Ms. Sawako Inaniwa, a curator and Chief for Education and Public Programs at the Tokyo Metropolitan Art Museum, and Mr. Hiroshi Oguchi, an advisor to the Seiji Togo Memorial Sompo Japan Museum of Art. 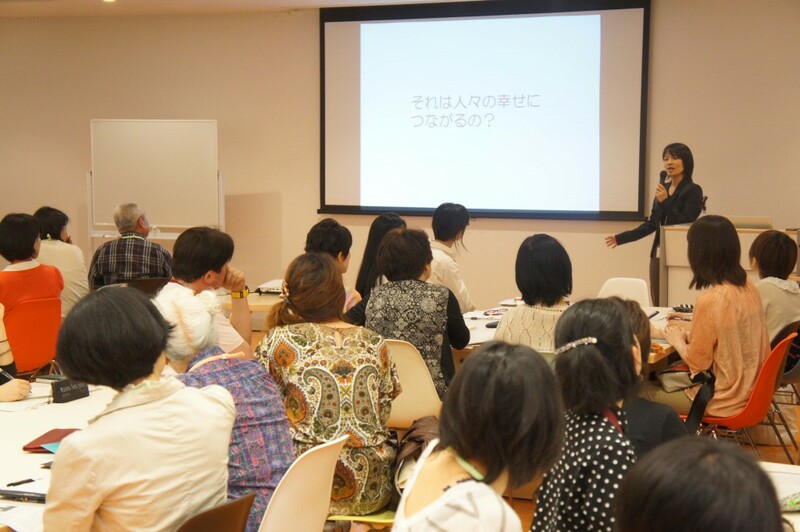 At first, Ms. Inaniwa gave a lecture about connecting museum visitors with works of art, including her personal experience prior to becoming a curator and the things she had done in that role. 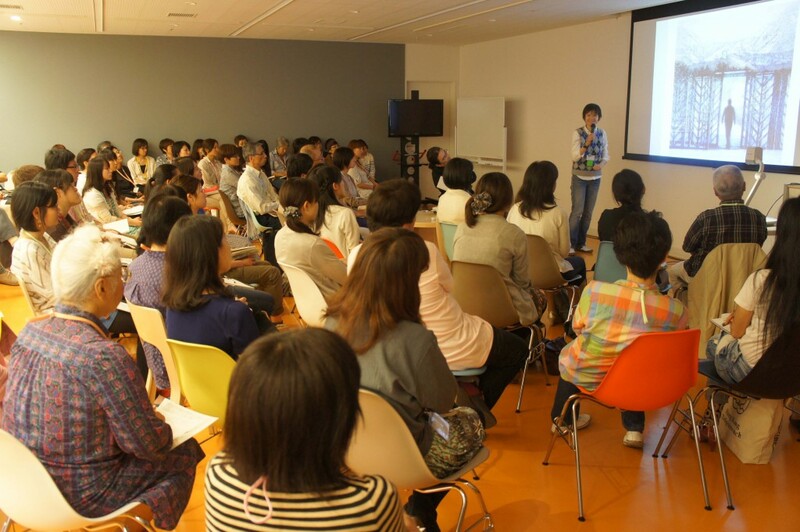 She also introduced images and other materials from an event offered at the Museum of Modern Art, Kamakura & Hayama called “Statues of Kamakura.” (This was a short documentary in which junior high school students went through a thinking process by viewing paintings.) Its purpose was to suggest and practically apply the Museum as a space to have a conversation with oneself, rather than considering it merely a place to study and learn about culture. 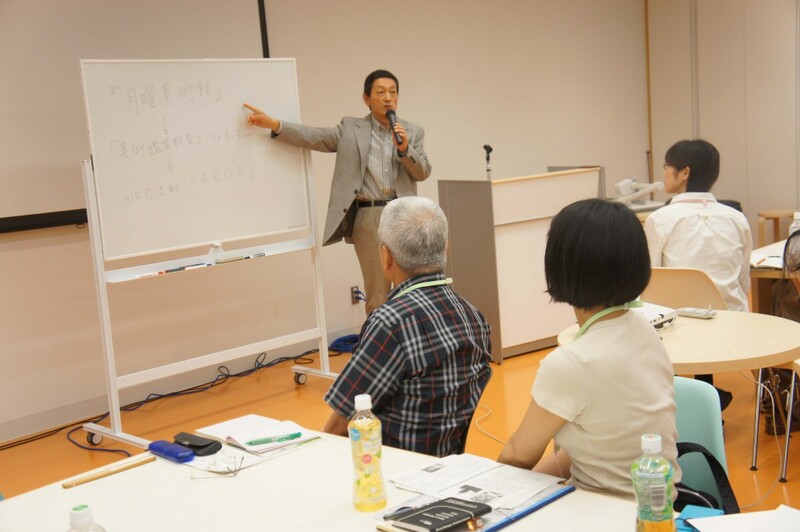 The second half of the morning session was a lecture by Mr. Oguchi. 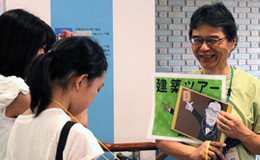 Based on his hands-on experience teaching art viewing around the Seiji Togo Museum in Shinjuku Ward, he pointed out the operational difficulties of introducing art viewing education utilizing museums into school curriculum (Examples include trips between the school and museum during class time and safety management outside of the school). While he pointed out these difficulties, he talked about topics such as the results he hopes to see in the TOBI Gateway Project regarding the school collaboration program. 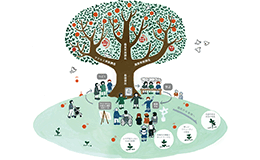 He also touched on the content of art viewing education through conversation offered at the Seiji Togo Museum, and we got to hear comparisons between common art viewing methods and conversational environment methods. 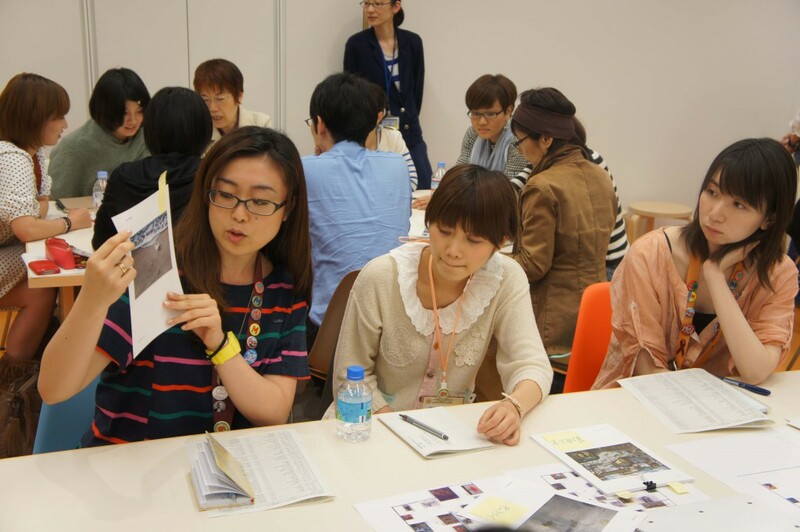 The instructors for the afternoon session of the Foundation Course were Ms. Inaniwa and Ms. Atsuko Takeuchi, also a curator at the Tokyo Metropolitan Museum. 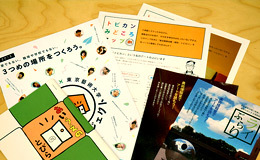 They immediately began with the practical application of conversational art viewing education. 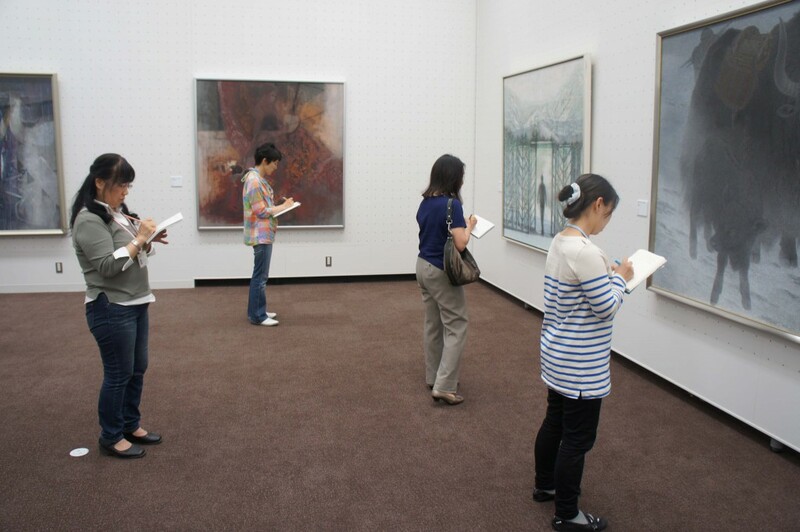 First, they started by thoroughly observing actual art pieces on their own. 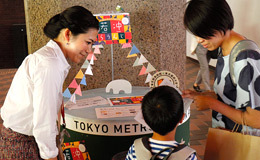 Everyone moved to the exhibition room, carefully observed a piece of artwork that caught their attention, and jotted down their own thoughts. 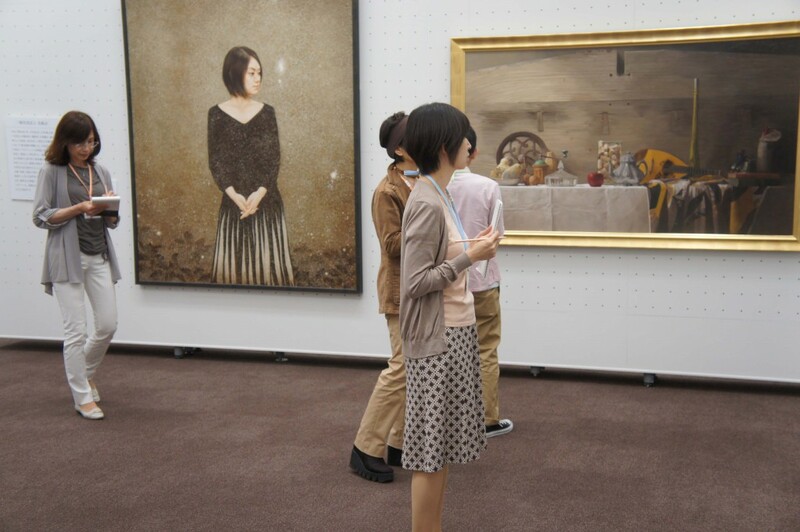 The method of art viewing through conversation started with each individual carefully examining the art piece. When everyone had finished compiling their impressions, they each selected one favorite piece and returned to the art study room. After returning to the art study room, under Ms. Inaniwa’s direction, they all shared their thoughts on the piece they found most intriguing with one another other using art works cards. By explaining how they saw and felt about their chosen art pieces, the understanding of others was deepened and we were all able to discern a completely different way to see the painting. In moments like these, mutual understanding is deepened by not just the person speaking about their thoughts on the piece, but also the way of listening among the listeners who hear the thoughts. As you would expect, I felt that the outcome of the 2nd Foundation Course, “The Power of Listening,” was apparent everywhere.